Not many people may have heard of Trimbakeshwar as it has still to make it to the list of most popular religious destinations in India like Shirdi, Tirupati Balaji and Vaishno Devi. This travel guide to Trimbakeshwar helps you understand how to reach Trimbakeshwar, best time to go, what to do and where to stay. Located in Nashik district of Maharashtra, Trimbakeshwar is popularly known as Trimbak. It is 30 km from Nashik. Trimbak is famous for the Trimbakeshwar Temple, which is one of the 12 jyotirlingas spread all over India. The temple town of Trimbak is also the source of the Godawari river that originates in the Brahmagiri Hills (hills can be seen in the backdrop of Trimbakeshwar Temple). It is believed to be the 8th jyotirlinga after Somnath in Gujarat, Mallikarjuna at Srisailam in Andhra Pradesh, Mahakaleswar at Ujjain in Madhya Pradesh, Omkareshwar in Madhya Pradesh, Kedarnath in Uttarakhand, Bhimashankar in Maharashtra, and Kashi Viswanath at Varanasi in Uttar Pradesh. The Vaidyanath Jyotirlinga at Deogarh in Jharkhand, Nageswar at Dwarka in Gujarat, Rameshwar at Rameswaram in Tamil Nadu, and Grishneshwar at Ellora in Aurangabad district of Maharashtra are the 9th, 10th, 11th and 12th jyotirlingas respectively. There are various stories associated with the temple and how the area came to being as the source of the Godavari. The short and sweet of it is that Rishi Gautama used to stay here with his wife Ahliya. A cow was accidently killed by him when he threw a dharba at her (sharp, pointed grass), when she entered his field. To absolve of gao hatya (sin of killing a cow), he was asked to take a dip in the holy waters of the Ganges. He then exhorted lord Shiva to send the river Ganges on earth, so that he can atone for his sin. Lord Shiva relented but not before Gautama rishi and his wife had mediated for years. 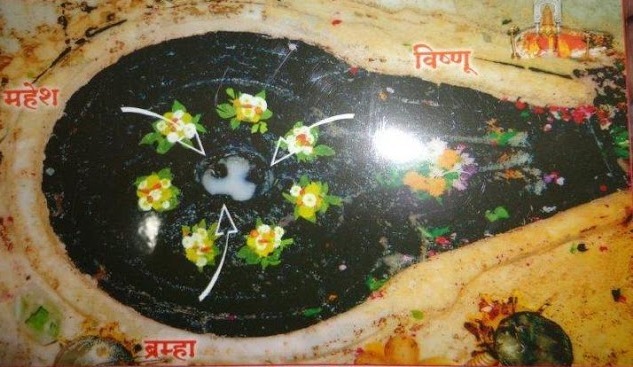 At last, the trinity of Brahma, Vishnu and Mahesh descended and remained here in the form of a linga (see pic below), which is different from usual Shivlingas that you see in a temple. The temple is beautifully built in black stone. It was constructed during the 17th century by Nanasaheb Peshwa. The temple presents a beautiful sight in the backdrop of Brahmagiri Hills. Unlike most temples, the sanctum sanctorum (garbh griha) at Trimbakeshwar Temple is approx. three feet deep and a mirror has been placed above it, so that devotees can have darshan of the linga. The lingam here has three faces embodying Lord Brahma, Lord Vishnu and Lord Rudra (Shiva). Women are not allowed to enter the sanctum sanctorum. Man can enter only with a priest of the temple for Rudra Abhisheka. Here are some frequently asked questions about Trimbakeshwar. Trimbakeshwar popularly known as Trimbak is a temple town in Nashik district of Maharashtra. What is the best time to visit Trimbakeshwar? July to March is the best time to visit Trimbakeshwar. 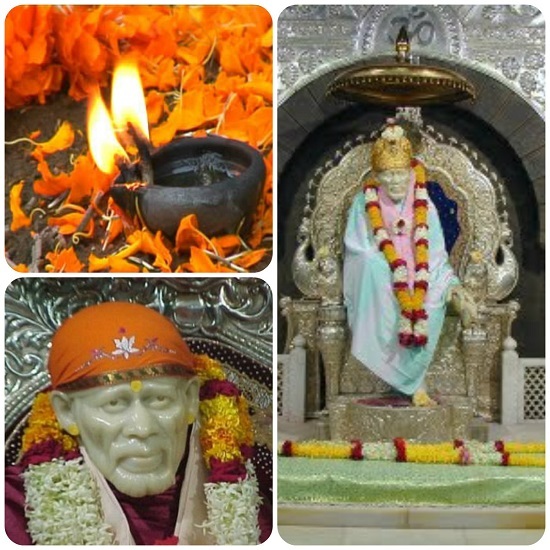 Which is the nearest airport to Trimbakeshwar? Mumbai, approx. 200 km away from Trimbak is the nearest airport to Trimbakeshwar. Which is the nearest railway station to Trimbakeshwar? Nashik Road, approx. 30 km away from Trimbak is the nearest railway station to Trimbakeshwar. How can I reach Trimbakeshwar? Trimbak can be reached by road, rail and air. Mumbai is the nearest airport, while Nashik Road is the nearest railway station. Frequent buses are available from Mumbai, Shirdi, Manmad, Pune and other major towns to Nashik. How much time does it take from Nashik to reach Trimbak? It takes close to an hour to reach Trimbak from Nashik if you travel by public transport, a taxi may take less time. Are buses available from Nashik Road railway station to Trimbak? Buses to Trimbak are available from CBS, which is short form of Central Bus Stand. CBS is approximately 10 km from Nashik Road railway station. There is a bus stand just outside the Nashik Road railway station and you can get one to CBS. There are plenty of auto rickshaws as well, which can drop you at CBS. Where can I stay at Trimbak? There are plenty of hotels and dharmshalas in Trimbak. You can get a room for as low as Rs. 400. Since Trimbak is not a large town, you are always at a walking distance from Trimbakeshwar Temple. Which is the best time to visit Trimbakeshwar Temple? Early morning is the best time to visit the Trimbakeshwar temple. It gets crowded after 10 am. The temple timings are from 5.30 am to 9 pm. Every Monday (4 to 5 pm), the crown of the lord is taken out on a procession to the kund. Can I carry wallet and mobile phone inside the temple? No. One cannot carry mobile phone and wallet inside the temple. It is better to leave them at your hotel. There is a shoe stand on the left hand side of the temple gate where you can keep your stuff safely. Is there anything else that I need to keep in mind when visiting the Trimbakeshwar temple? If you go for Rudra Abhishek, please note that you need to wear a dhoti and angoncha and nothing else.